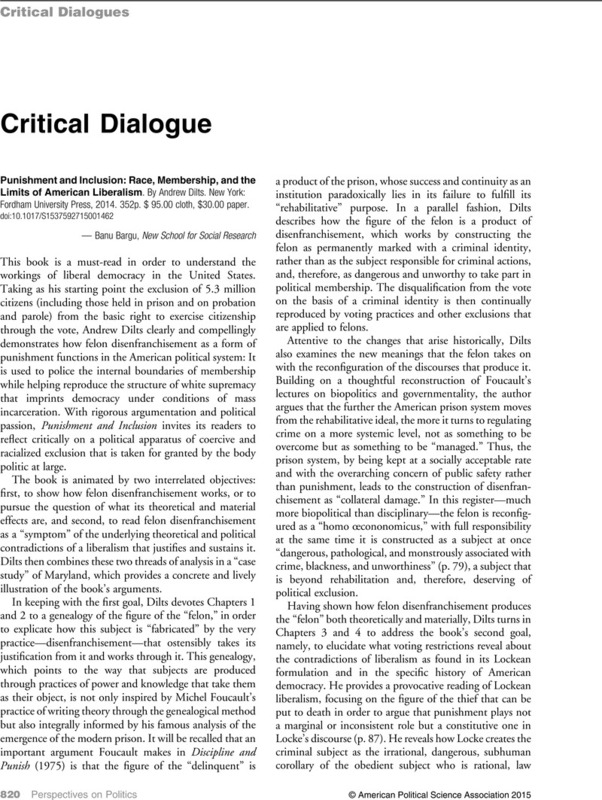 Punishment and Inclusion: Race, Membership, and the Limits of American Liberalism. By Andrew Dilts. New York: Fordham University Press, 2014. 352 p. $ 95.00 cloth, $30.00 paper.